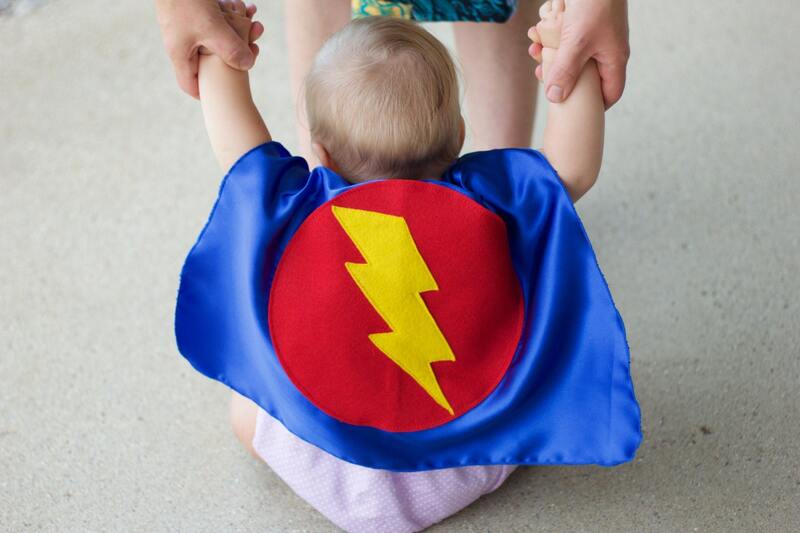 Are you looking to dress up your tiny super hero? This extra small baby sized superhero cape and soft fleece wrist band set is perfect! The cape closes around the neck with sewn in velcro. The wrist bands are made of soft fleece and are easy to put on. 1 set SUPER soft fleece wrist band cuffs with mini bolts that slide over baby's wrists! YOU CHOOSE a cape color and a circle/bolt color and we will add the matching accessory wrist bands! Looking for more baby capes? SHIPPING: Typical shipping turnaround is approximately 3-5 days of construction followed by the same for shipping. HOLIDAY SHIPPING (Oct-Jan): Shipping timelines may run longer up to 4 weeks during December. please inquire prior to ordering if you have a specific deadline.